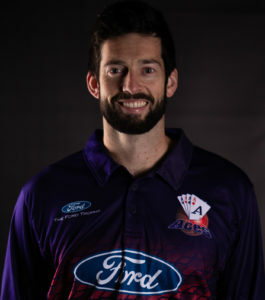 Day three was a day first of damage limitation, then of batting brilliance for the Auckland Aces against the Otago Volts in Dunedin. Having foundered in their first innings, the Aces came out at 177/6 needing something huge to get them past the follow-on. 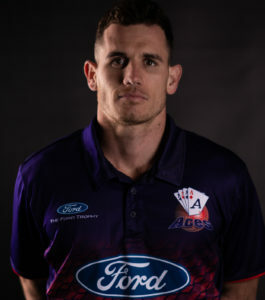 Ben Horne, starting on 18, and Will Somerville on 7 did their best to get the Aces score somewhere close to respectable. They put together a 7th wicket 50-run partnership, before Somerville was caught behind on 22. Horne continued batting with Ben Lister and Jamie Brown. He reached his half-century after more than two and a half hours at the crease. Unfortunately, all good things must come to an end, and Horne was caught off a leading edge for 63. 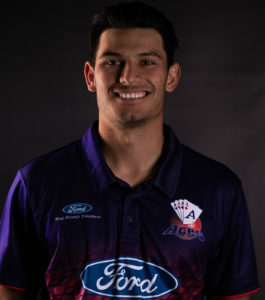 The Aces finished their first innings on 247 – 233 runs behind the Volts’ score. Otago naturally enforced the follow-on. Auckland openers Graeme Beghin and Sean Solia finished off the first session, then started again after lunch. With a deficit that large, there would have been a tendency towards restraint. Instead, Beghin and Solia played with a freedom that belied the situation. Their 50-run partnership came in 74 balls and featured 11 fours. Beghin and Solia brought up their individual half-centuries within two overs of each other – also both with 11 fours apiece. Otago’s bowlers managed to rein the scoring in and Auckland reached tea at 134/0. The scoring rate went up again at the start of the final session. Solia and Beghin quickly took the Aces to 150. Already on his highest first-class score, Beghin wasn’t messing around as he neared his maiden first-class century – he cleared most of the 90s with a six. He would find the boundary again to bring up his ton, after two and a half hours at the crease, with 20 fours and a six. But there was still work to be done – Auckland still trailed Otago’s first-innings score. Solia brought up his highest first-class score with an hour to go. It was then, however, that the runs just stopped. In the last passage of the day, Beghin and Solia faced seven straight overs of dot balls. Eventually, the pressure told. With three overs to go, Solia misjudged a ball from Matt Bacon and lost his off-stump. His final score was 81, including 15 fours, in more than four hours in the middle. At the close of play Auckland was 198/1. Beghin will head out tomorrow on 110, with nightwatchman Matt McEwan on two.